During the Chicago Bears’ Thursday night game against the New York Giants, Brandon Marshall supported a cause different from the NFL’s Breast Cancer Awareness campaign. Instead, Marshall rocked LIME green cleats to support Mental Health Awareness Week; a cause much closer to his heart. The Bears’ wide receiver started the buzz about his lime green kicks earlier this week to create more awareness for an illness he not only supports, but also lives with. In 2011 Marshall took an admirable step and went public with his multiple personality disorder diagnosis. He instantly turned his reputation around (bad boy to vulnerable) while also becoming the face of a mental disorder so many people also deal with. Reports had said the NFL would prevent Marshall from taking the field with the green cleats on, but then those fuddy-duddies had a change of heart. The league ruled that Marshall would be allowed to play and support his cause, but would be fined for the uniform violation. Marshall came back and said he would double the cost of the fine and donate it to his favorite foundation. Take that rules. To top things off, Chicago’s #1 WR took things to the next level scoring two touchdowns under the lights of Soldier Field. Yup – love that. Oh, and I LOVE this purple bow tie. BMarsh has brought national attention to the disorder throughout the week and Thursday night during the national broadcast. Ultimately, Marshall hopes that through awareness he can help others learn to cope with their condition. 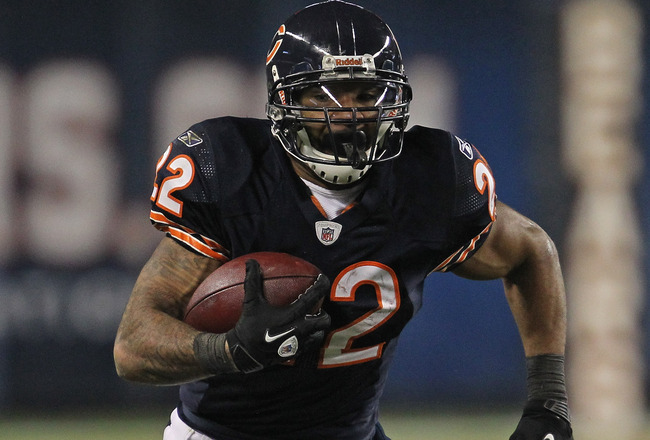 The Bears will have their Pro Bowl running back Matt Forte in a Chicago uniform for the 2012 season, but he’s doing it Phil Emery’s way. Last Friday, the Bears placed their franchise tag on Forte, he now joins Eagles wide receiver DeSean Jackson and Saints quarterback Drew Brees in the “Franchise tag club”. This one-year agreement will pay Forte $7.7 million for this season — a $7.1 million raise from his 2011 salary. Forte was reportedly offered a deal that guaranteed roughly $14 million, but as the first Bears running back to go to the Pro Bowl since Neal Anderson (if you don’t remember it’s because it was in 1991) most would assume he was looking for something closer to the five-year, $43 million contract with $21 million guaranteed that Carolina gave DeAngelo Williams. So this move locks down Forte for a year, but does this make the Bears seem cheap? Will this decision be perceived as the organization not wanting to pay their star what he deserves? Will this prevent high profile free-agents from wanting to sign with the Bears? Chicago really needs a wide receiver. They have roughly $17.3 million in salary-cap room remaining if Forte signs the offer. The question is, how are the Bears going to use it? 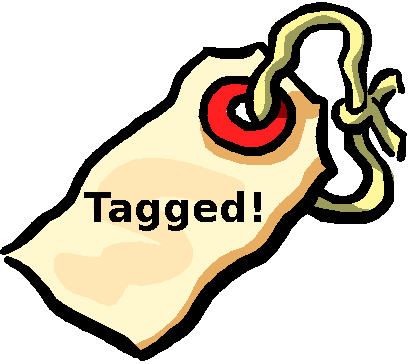 Side Note — For those of you like me, you understand the majority of football, but when things like “franchise tags” get thrown around you immediately think of something like a luggage tag – here’s a little “Franchise Tag 101”. Definition: The option given to each NFL team to lock up an important player for one year, whose contract is set to expire, without signing him to a long-term contract. Each team gets the option of one franchise tag, and the deadline to use it this season is Monday, March 5 (today). The Bottom Line: it has everything to do with the NFL’s salary cap. Teams ultimately want to squeeze as many good players under the salary cap as possible. There are two ways to do this: sign a player to a long-term deal spreading his salary out over many years OR assign the franchise tag. Rarely do teams have enough room under the salary cap to offer every one of their good players a nice extended contract, so assigning the franchise tag guarantees the team a crucial player without having to take a long-term hit against the budget. The free-agent signing season then essentially begins at the franchise tag deadline. After franchise tags are assigned, other teams know which players are available or unavailable. This tag allows the players the opportunity to prove themselves for a longer-term deal. Common examples are players who are valuable, but might be risky to sign for the long haul– because of age, injury issues, or off-field problems. Players can sign franchise tenders from March 13 through the 10th week of the regular season and can sign multi-year extensions at any point through July 16. Changes: This year because of the new CBA, you saw many more franchise tags placed around the league. “Under the previous collective bargaining agreement, the franchise tender was equal to the average salaries of the five highest paid players at the franchise player’s position. Under the new CBA, it’s a more complex formula that consists of dividing the old franchise tender figures from 2006-10 by the sum of the salary cap from 2007-11, and then multiplying the resulting percentage by the 2012 salary cap,” states chicagobears.com.